WE EXPAND THE LUXURY OF YOUR OWN BACKYARD. 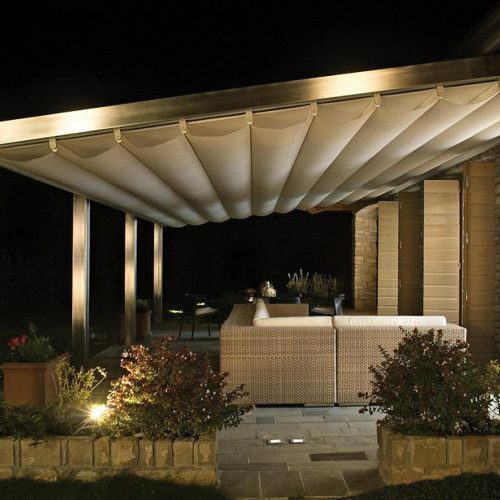 Sun or rain, bring your outdoor living dreams to life with a custom designed awning. We offer various innovative aluminum and wood designs. 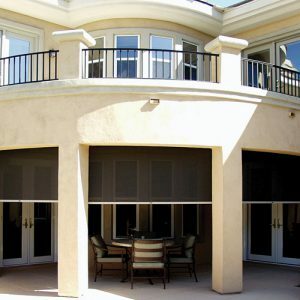 Create outdoor rooms with flair using this simple and clean shade. The structure is made of aluminum and the exclusive anodizing treatment, available in aluinox color, creates a contemporary appearance with each pillar and beam fitting perfectly. Combine sophisticated design with modern technology to offer unparalleled performance and unique features currently not found on any other system of its kind. 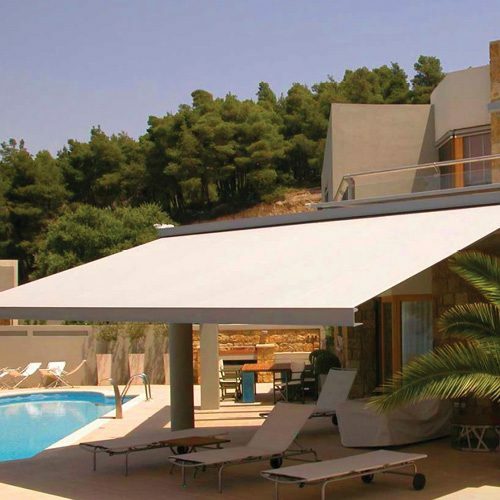 Raising the bar for Awning Design Standards for both open roll and semi-cassette awnings. They are a very responsive, creative and professional outfit. They were very helpful with my particular job speciations and needs. I would hire them again in a heartbeat and highly recommend them to other consumers! 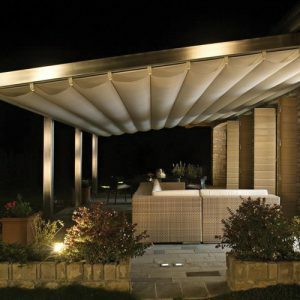 Wouldn’t it be nice to create an outdoor space that easily offers both shade and sun without compromising any aesthetic line? These retractable cassette awnings meets all of these requirements and fully integrates with almost any architecture. This very popular exterior screen system is more than just solar protection. 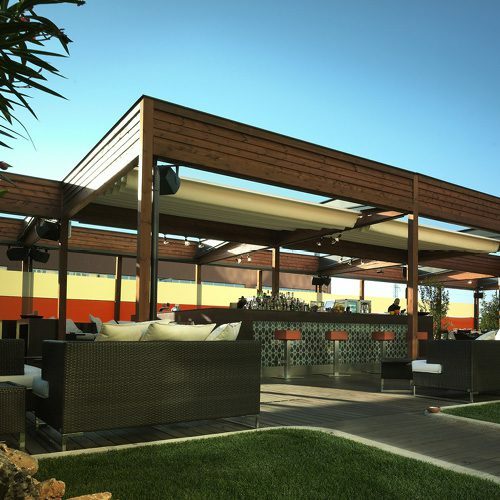 It also provides an assortment of practical and engaging enclosure options creating beautiful and comfortable outdoor spaces.